And rounding up the Doom Franchise is the Cyberdaemon. Unless, IDK, someone requests a build for the Spider Mastermind. 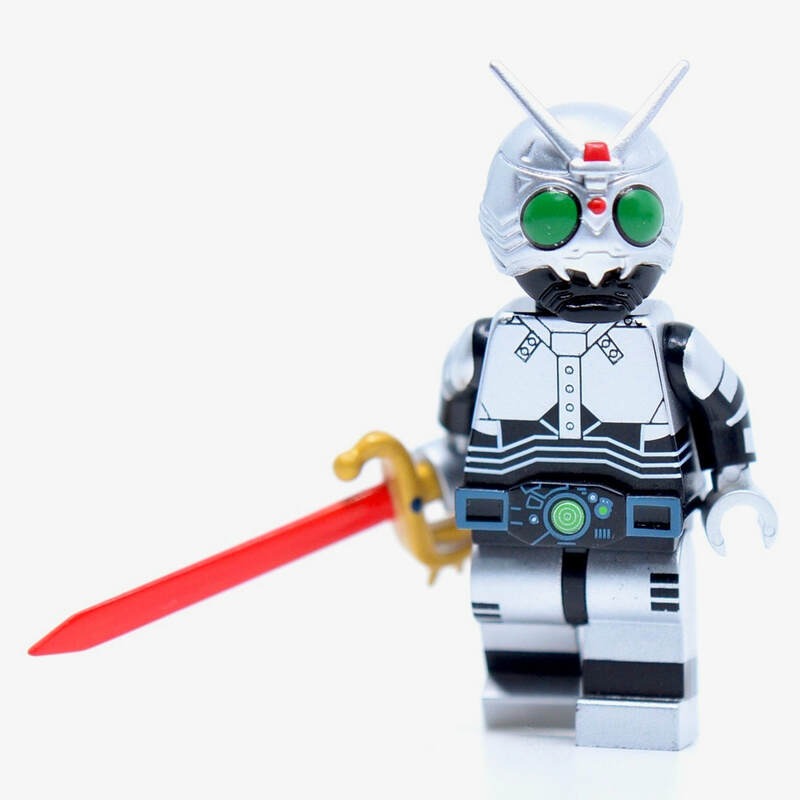 The mightiest warrior amongst the legions of Hell, the Cyberdaemon is a formidable opponent that either leads the charge of daemonic armies or stand guard of strategic targets vital to Hells invasion of the corporeal, mortal world. Though powerful and nigh invincible, the Cyberdaemon is extremely vulnerable to an ancient artifact known only as the Soul Cube. And the Soul Cube in case anyone wants to use it if only for reference. An ancient artifact forged by the souls of hundreds of the surviving Martians in their war against Hell, it is an immensely powerful weapon that can take on even the mightiest of Hell’s warrior-daemons on near equal terms. 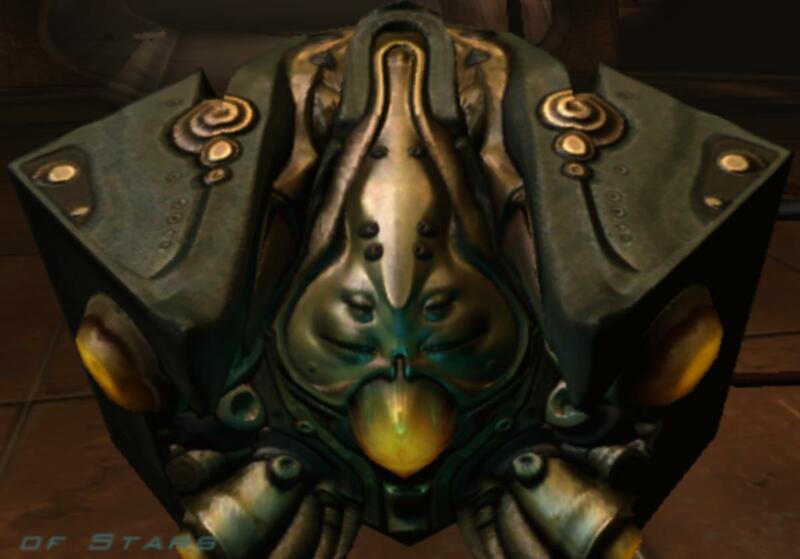 However, it required the deaths of five daemons slain through conventional means in order for the sentient weapon to be utilized for a single, overpowering strike. It was used by the final champion of the surviving Martians, the Hero, whom tore through the vast legions of Hell’s daemonic army in order to seal the Hellmouth and ended the war. Though he may have his flaws and faults, he was a husband and a father without equal. May the Angels welcome and accept him with open arms. And since we're done with the Doom franchise (for now anyway...), let's go to the Terminator franchise. This time, it's the 600-series Terminators. The very first production models of Skynet’s Infiltration type of Humanoid Hunter-Killer units, the 600 series Terminator were limited in its terms of infiltration due to its synthetic latex skin to camouflage its mechanical endoskeleton beneath. As such it was easily identified by human Resistance fighters out in the field and ultimately served as an infantry unit due to its hardened combat chassis. The 600 series terminator were able to lift nearly five times its own mass, punch through metal and concrete without damage to its servos, and run up to 60 km/h with short sprints of 75 km/h. However, the latter burst of speed severely taxes the servos and joints of the machine. And that'll be it for this installment. So then, any suggestions to this batch of entries or are they fine as they are presented? I guess there are no issues with the previous build, or at least publically. Let's move on to this iteration's representation for the Dead Space franchise: the Pack. The Pack are unique in that instead of just individual hunters, they act with other Packs as a predatory gestalt necromorph as a general strategy to overwhelm the target prey with vast numbers. 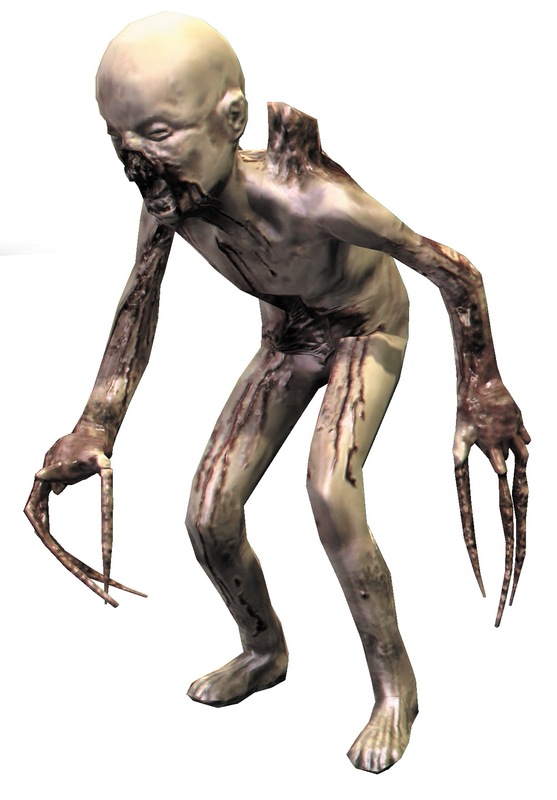 Their upper bodies have been modified to enhance their claw slashing technique to efficiently kill their victims, but otherwise they are extremely vulnerable and weak compared to their necromorph brethren and are thus easier to defeat in solo combat. Last edited by Sabersonic on Thu May 11, 2017 1:32 am, edited 2 times in total. Next up, for the Resistance portion of this installment, is the ever insufferable Leaper. Largely a product of a Crawler’s failure to locate a host to infect, the Leaper strain serve the Chimeran Army as a kind of living area denial weapon, though often enough the Leapers are left to roam the area as they please. Often enough they ambush any formation of hostile units in a swarm and overwhelm them in numbers, not unlike their former incarnation as Crawlers. 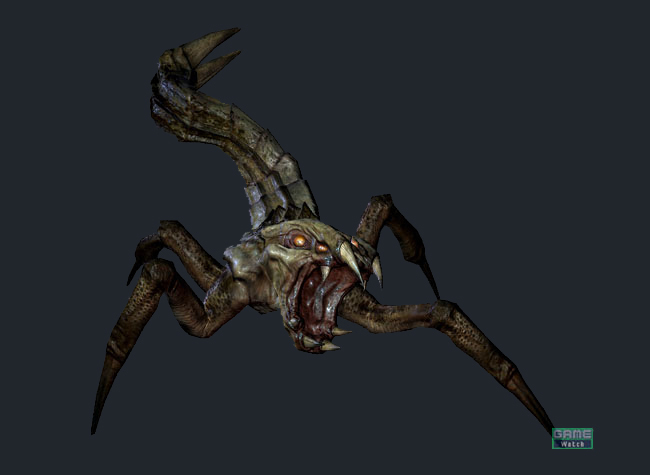 They are called Leapers for their powerful ability to jump high and long distances in addition to their primary form of attack which is to leap themselves onto an enemy unit and either bite or stab them repeatedly with their legs or stinger-like tail. Leapers that live long enough will, at the end of their life cycle, mutate into Rollers. Additionally, the Leapers serve as additional vectors of the Chimeran Virus to convert human beings who survive a Leaper attack into a Grimm themselves. Last edited by Sabersonic on Mon Mar 27, 2017 1:32 am, edited 1 time in total. And last, but least, the Terminator franchise representative of this installment and what Kyle Reese was the model that was sent back in time: The 700 series Terminator. The forerunner of the 800 series Terminator, the 700 Series of Infiltration-type Humanoid Hunter-Killer Units were the first to don living tissue as camouflage for successful infiltration into human Resistance encampments. Though due to its initial design to slim its combat chassis to more mimic the natural anatomical scale of its targets, it is more vulnerable to more conventional weaponry and knocked out for a much longer period of time. Still, when properly hardened, the 700 Series Terminator is just as effective an infantry combat unit for Skynet’s combat operations. They look good but I would give them -2 or maybe even -3 frail, I remember them being really easy to kill but a pain in large groups although it as been awhile since I played. Also I like the “Pack Mentality” Idea it is really cool. You are who you chose to be. And if i may can I make a request? I would like for you to make the predator from AvP and the marines from aliens 2 I saw some has all ready made the aliens but if you want you can try your hand at making them tho it is not necessary. Since I made the Aliens, I can make some Marines later tonight, and then I'll tackle the Predators. Over-the-Top Idea: Monstrous/Mecha scale Abilities. I wasn't too sure if it would make sense for the Lurker's to be more formidable than the Pack when I originally did the build. But then I recalled how much of a pain they were in all three games so I went "Screw it" and just did those edits. I'm glad that you liked it. I figured that they would be more of a threat in large groups and have them earn their name "The Pack" since they're so easy to defeat on their own. "I am the ultimate badass! State of the badass art!" The United States Colonial Marine Corps (USCM), commonly known as the Colonial Marines, is the United Americas' primary "force-in-readiness", founded in 2101. They specialize in force projection, being able to operate independently in environments far from home for extended periods thanks to their technological prowess and sizeable space fleet at their disposal. The USCM is the successor to the United States Marine Corps and are at permanent readiness for immediate deployment across human-controlled space without any additional reinforcement, training or provisioning. A marine is typically armed with a service pistol and one of the following: Pulse Rifle with grenade launcher, Flamethrower, or Smartgun. Gear +1: Multi-Cam Combat Fatigue Uniform (Cammies): Once per encounter gain Scale Advantage in any combat roll. I designed these more as NPC fragments. A player can take this and add 3 points of Abilities (or more with taking additional Weaknesses) to build a heroic character (which also modifies the Health and Endurance). As +2 characters, they are good for use with the Companion or Minions Abilities. For ease of reference, here are the Xenomorphs. A queen's minions will usually be facehuggers but drones and warriors can be summoned instead, using the 'combined' option. *A drone or a warrior will usually be considered a secondary NPC useful for the Minion ability or for more action oriented encounters. A warrior or a drone can be increased to a heroic NPC to replicate a horror survival themed encounter. The unique ability to impregnate serves as an attack (Roll: 7). When successful, the victim has been facehugged, during which the victim is unconscious while the facehugger implants an embryo, which usually takes about an hour, afterwards the facehugger falls off and dies. The embryo gestates in the victim for (Health+endurance/10) hrs, and then bursts out of the host as a chestburster, killing the victim. Last edited by Malancthon on Tue Dec 05, 2017 7:04 pm, edited 1 time in total. You know what, here's some more random NPC fragments from Me. For over a thousand generations, the Jedi Knights were the guardians of peace and justice in the Old Republic. This can be generic Jedi as seen any time from the Tales of the Old Republic up through the Clone Wars. The Force is the same as the Ability Magic, Arcane. If the high cost of Force does not work well with the low Endurance, you could substitute it with Telekinesis +1 and Telepathy +1. Last edited by Malancthon on Tue Dec 05, 2017 8:08 pm, edited 2 times in total. We take what we desire because we can. We can because we have power. We have power because we are Sith. Where there are Jedi, there must be Sith. These are usually found during an era with a Sith Empire, such as the Old Republic era up to 1000 years before the movies. A Dark Jedi can also be made by replace Servitude with Outcast. Last edited by Malancthon on Tue Mar 14, 2017 6:03 pm, edited 1 time in total. Only Imperial Stormtroopers are so precise. Look, don't... just don't make the obvious joke. 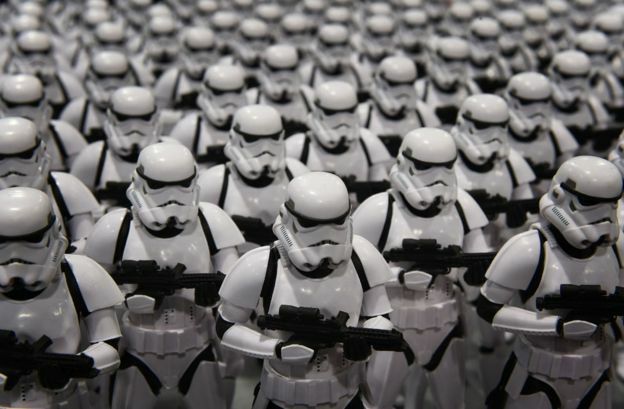 For every galactic empire, there are stormtroopers, the nameless, faceless legion to overwhelm and subjugate the free planets.